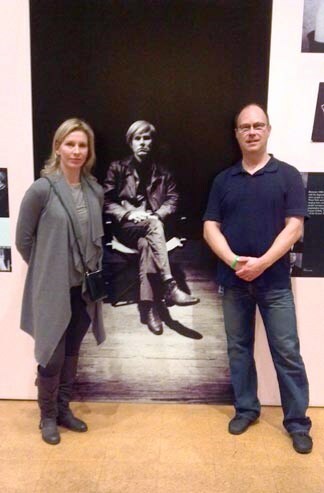 The Andy Warhol Museum in Pittsburgh, Pennsylvania, is seven floors of sensory stimulation. The museum is not a brick and mortar tombstone tribute to the life and times of Andy Warhol. It is the embodiment of Warhol life and art: a prolific pop of diversity. The galleries at the museum provide more than a spectator’s walk past Warhol screenprints and photographs. Visitors are participants. Fourth Floor Galleries include the Silver Cloud exhibit, one of Valley Fine Art’s favorites because of its interactivity—walking through a room with helium filled “pillows” that float as if in slow motion. Andy Warhol art is admired and collected by people all over the world. From The Warhol in Pittsburgh to Valley Fine Art in Aspen and other fine art galleries, Warhol’s iconic Pop Art is accessible to the public—it is out in the open and larger than life. Just like Andy.